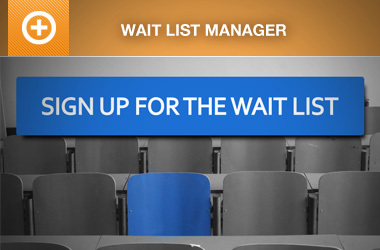 A user add 4 people in waiting list. The screen allow to add only his name and mail. When I promote this 4 people (4 time the same name and email), the notification related is sent 4 times (the message is related to the participant not to the primary). This appears to be by design. I can open an issue on GitHub to check with the developers to see if that’s something that can be changed. One thing you can do though is only select one of the registrations, then select the “Set Registrations to Pending Payment and Notify” then apply. Then select the other three, select “Set Registrations to Pending Payment” then click apply. This way it will send only one notification. Ok, I will apply this workaround to avoid multiple notification. The support post ‘Waiting List Manager – Multiple notification’ is closed to new replies.